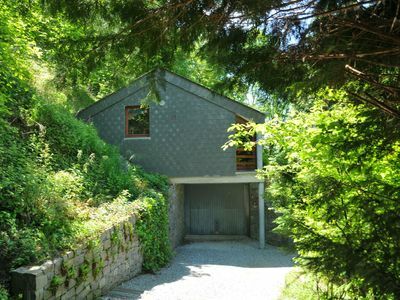 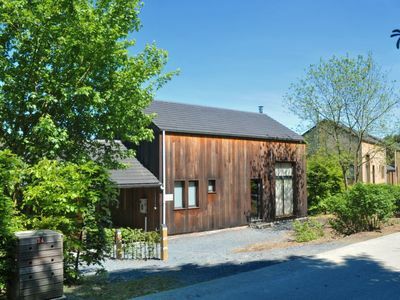 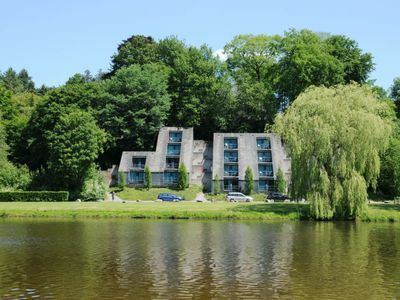 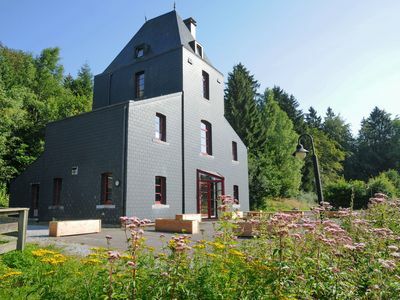 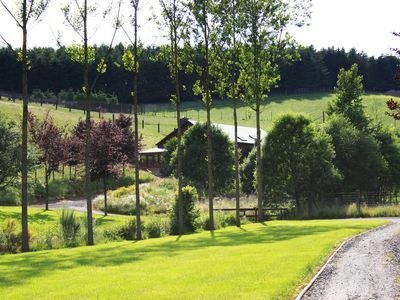 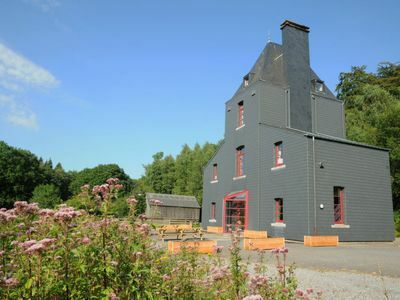 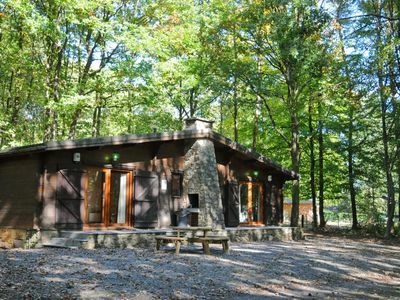 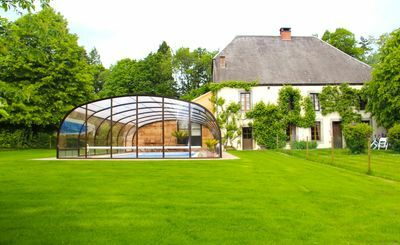 The holiday home is located in the Belgian Ardennes and has a year-round heated (29 °) swimming pool. 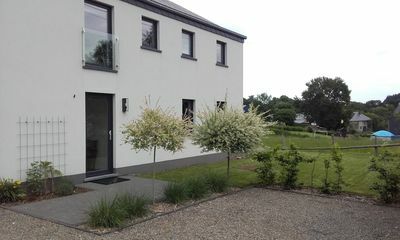 The house offers enough space for 18 people and has a total of 7 bedrooms with private bathroom. 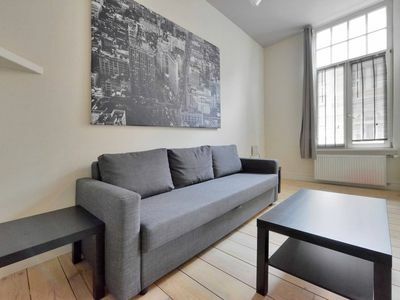 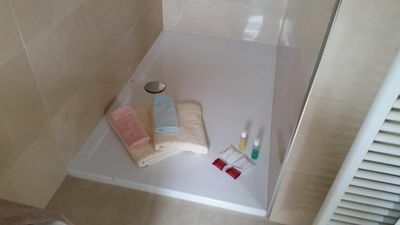 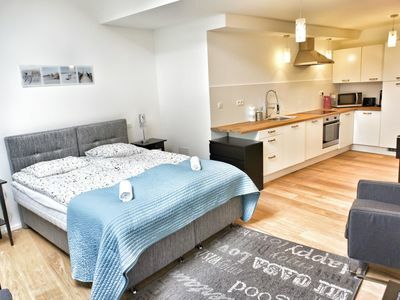 1 bedroom is located on the ground floor. 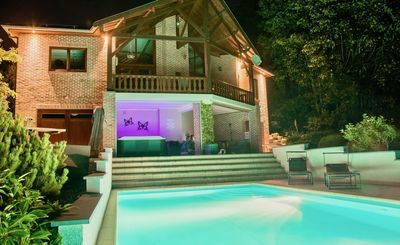 There is a large living room with billiards and direct access to the swimming pool, which can be used throughout the year. 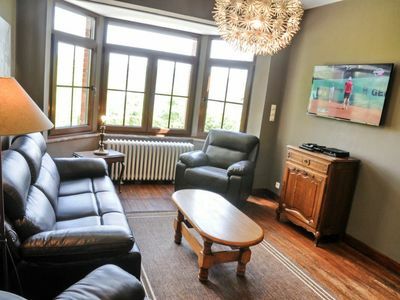 There is a second living room / library where you can retire a bit. 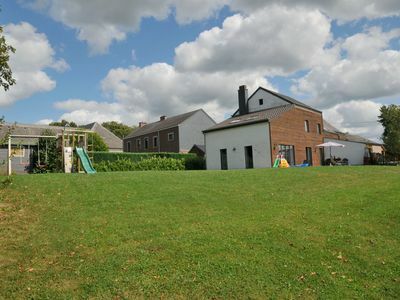 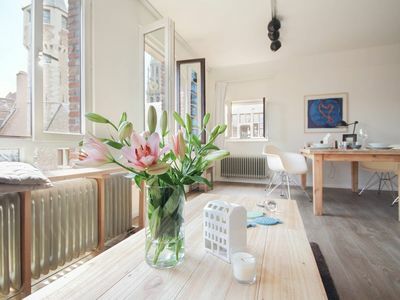 In the middle there is a large dining area and the fully equipped kitchen. 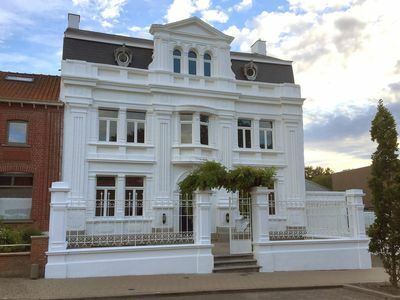 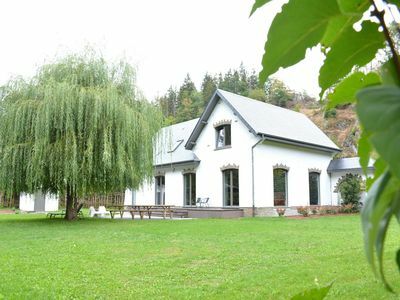 The house is located 5 minutes from La Lesse (Houyet), 5 minutes from France (Givet) and 15 minutes from Dinant. 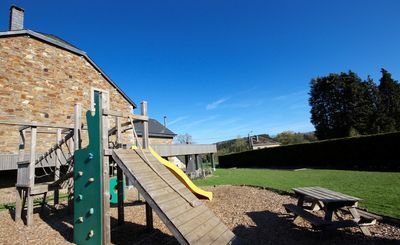 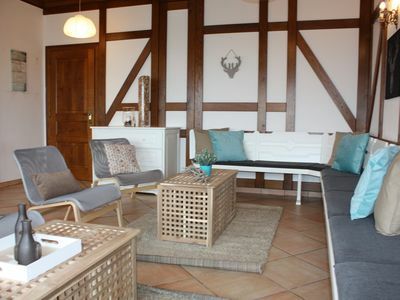 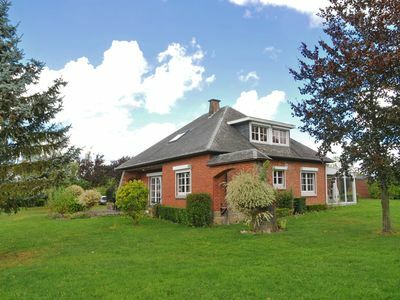 The cottage with heated swimming pool offers all the comforts to spend a relaxing stay in the Belgian Ardennes.